Bartley, Tim. 2018. Rules without Rights: Land, Labor, and Private Authority in the Global Economy. Oxford University Press. 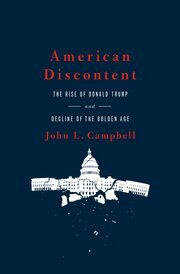 This book provides striking new answers by comparing the private regulation of land and labor in democratic and authoritarian settings. Case studies of sustainable forestry and fair labour standards in Indonesia and China show not only how transnational standards are implemented ‘on the ground’ but also how they are constrained and reconfigured by domestic governance. Combining rich multi-method analyses, a powerful comparative approach, and a new theory of private regulation, Rules without Rights reveals the contours and contradictions of transnational governance. (2) Have a copy of the book sent to each committee member, at the addresses below. The Distinguished Contribution to Scholarship for an Article or Chapter Award for Political Sociology. The deadline for nominations is March 15, 2018. (2) A copy of the article or chapter. Best Graduate Student Paper Award. The deadline for nominations is March 15, 2018. All materials should be sent to each selection committee member at the e-mail addresses below. (Proposed) “The Distinguished Career Award in Political Sociology.” This award will be made pending the section’s approval in a vote this spring. The deadline for nominations is March 15, 2018. (3) The full contact information for the nominee (including email address), to the nominating committee below. Rossi, Federico M. 2017. 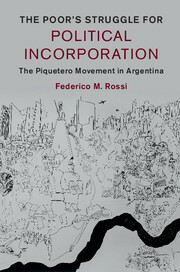 The Poor’s Struggle for Political Incorporation: The Piquetero Movement in Argentina. Cambridge University Press.